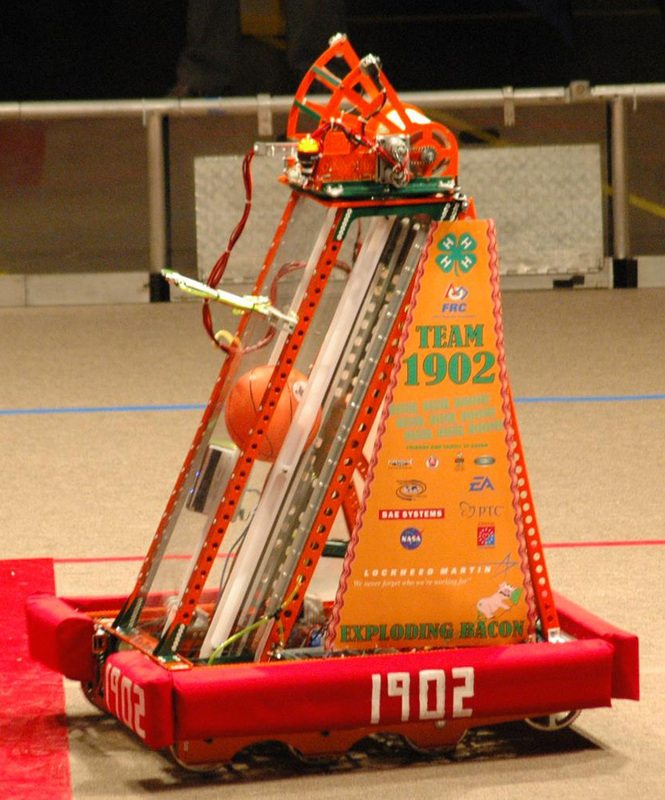 Exploding Bacon’s 2012 robot, Porcus Magnus, was built to play Rebound Rumble. Rebound Rumble was a game very similar to basketball. The ends of the field had four basketball hoops, one close to the ground (worth one point), two in the middle (worth two points), and one up high (worth three points). 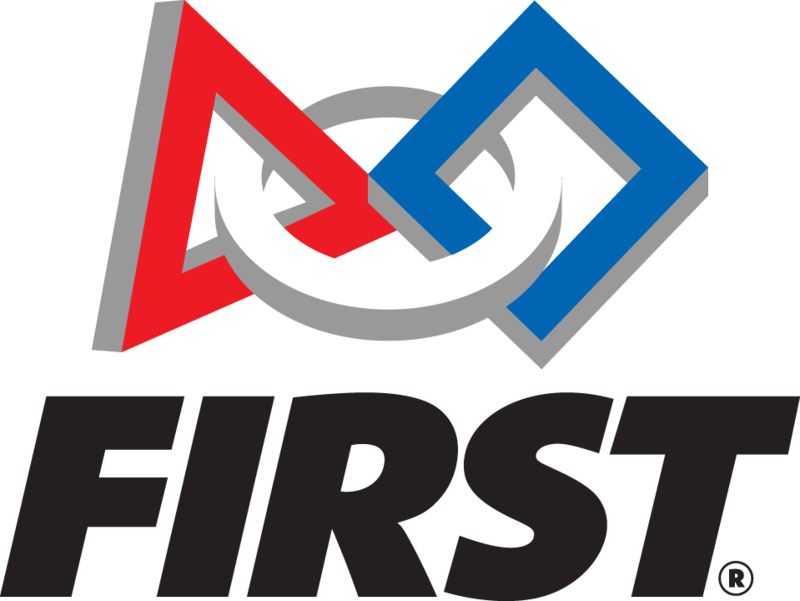 There were three bridges in the middle of the field, one for the red alliance, one for the blue alliance, and a coopertition bridge. At the beginning of the season we decided to shoot two-point shots consistently over shooting three-point shots inconsistently. We would drive up to the fender and push other robots out of the way to shoot; we called this the Dwight Howard strategy, in honor of a professional Orlando Magic basketball player. The shooter on the robot was a smaller version of our 2009 Lunacy robot.